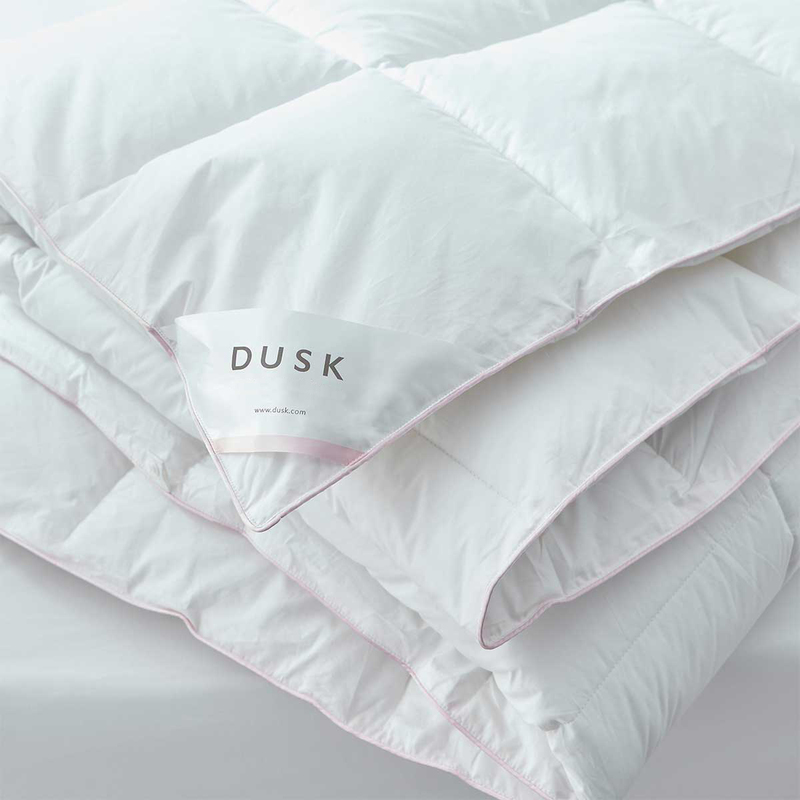 DUSK’s collection of natural and synthetic filled duvets have been designed with your comfort in mind. 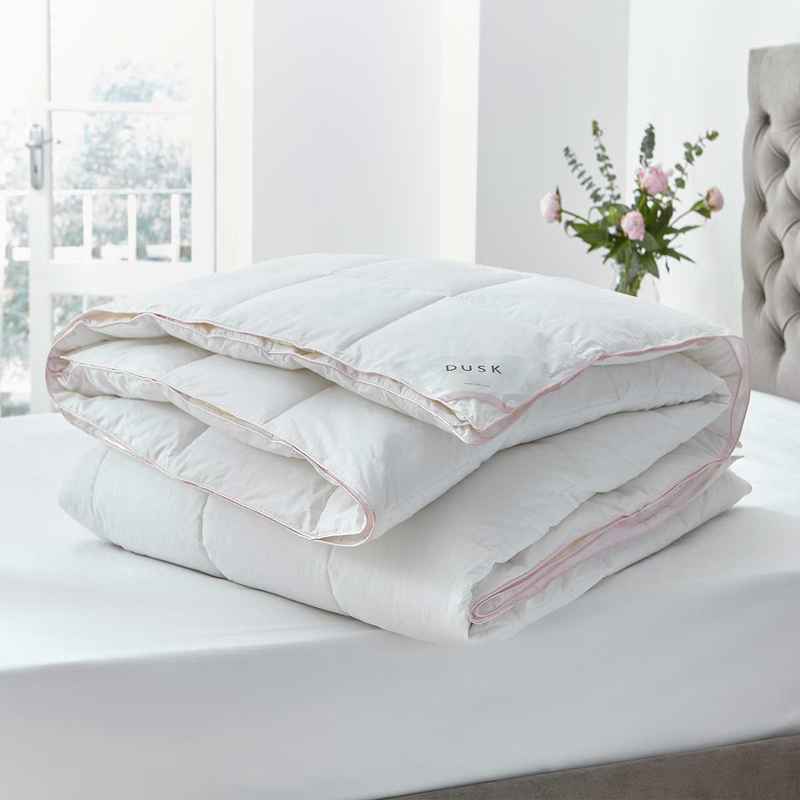 Our team has sampled a range of fills to bring you a choice of the most luxurious and cosy duvets. Wrapped in 100% crisp cotton percale, the baffle wall structure ensures your fill is even throughout for superior breathability and warmth. Choose from supremely lofty goose down, plush duck down and feather or the cosy microfibre Feels Like Down. Whether you’d like a cool 4.5 tog for the summer, a cosy duvet with a 9 tog rating in the winter, or the extremely warm All Seasons 13.5 tog duvet, find your perfect duvet in single, double, king and super king sizes.